We are getting ready for this year's Toy Truck benefiting Porter-Leath. 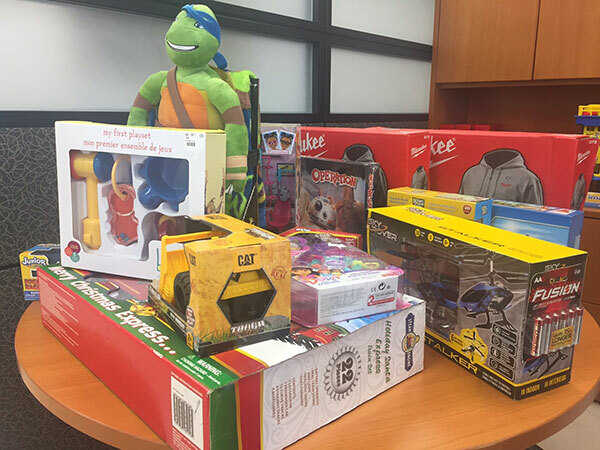 For the past 15 years, Toy Truck has given mid-South's low-income kids under 5, an opportunity to have a meaningful holiday gift. It's really easy to get involved. Simply fill out the form below, and your Yuletide driver will bring a box to your office. Once it's filled, let us know and we will pick up and deliver to the Toy Truck donation event. Our goal is to raise over 5900 toys this year. Toys should be new and unwrapped. If you need ideas on what kind of toy to donate, please visit the toy idea page. Thank you for supporting Toy Truck and have a great holiday!